Our living countryside runs and thrives because there are lots of ‘bright sparks’; people who take responsibility and get things done in villages and rural communities. I have just been involved in a EU funded LEADER process interviewing candidates with our Peak District Leader Action Group to run a project “Developing Bright Sparks/Community Champions in the Rural Area”. The plan is to identify bright sparks and enable them to recognise, value and improve their skills and share them with others faced with the same problems, hopefully encouraging a whole bunch of new shiny bright sparks! Sometimes it’s really difficult to get a local initiative off the ground. Even with lots of local support a project has to fight its way through layers and layers of bureaucracy. Bright sparks, by their nature always have too much to do, they are the ‘busy people’ everyone asks to do things “if you want something doing, ask a busy person” is the saying. 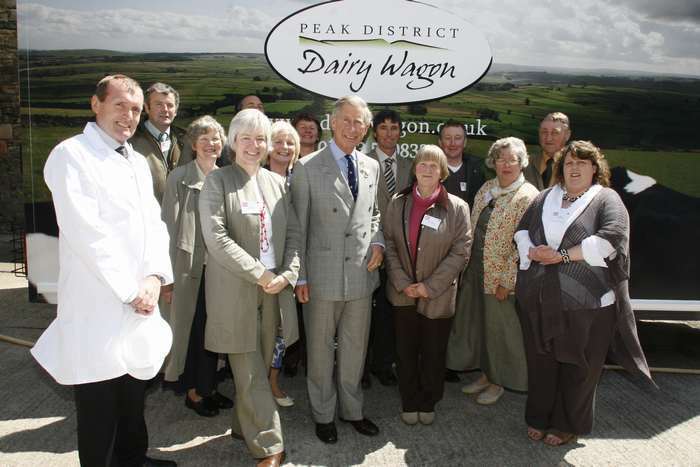 An example was the years it took several bright sparks to get the Peak District Dairy Wagon off the ground! It finally succeeded because HRH Prince Charles lent his weight to the project. With the government’s Big Society agenda, there are so many local issues to tackle there is a danger that bright sparks are going to burn out with over work and exhaustion. So I hope our LEADER project is inspirational and does the job! I have to admit that I am one of these (my family despairs of the time spent doing projects!!) One of my latest ideas is to try to build a small anaerobic digestion dome to produce methane from cow manure. I picked up the plans for this idea from a Peace Corps volunteer in Transylvania while working there as an Eco-tourism business consultant. Mr Sagar designed the mini bio-digester, he grew up realising that his mother’s traditional cooking methods where harmful to women’s health and the environment. 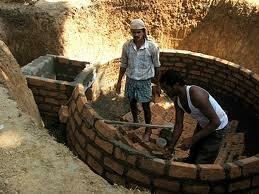 He was a bright spark he found a solution using cow manure instead of scarce wood to power cooking stoves. Later this year we will see if this can work in the Peak District! When you get cow manure and methane together with a bright spark you may get an explosion! This entry was posted in Big society, Building, Derbyshire, eco, eco tourism, environmental, farming, green stuff, organics, Peak District, rural community, Rural Economy, Staffordshire. Bookmark the permalink.